Who’s the most at risk for Flu and how to avoid getting sick? Chances are that you, or someone you know, has come down with the flu in the past few years. The dreaded virus rears its ugly head every fall and winter bringing on stuffy noses, achy muscles, and fevers. While getting your annual flu shot is the best way to prevent the flu, it’s important to learn how to prevent the virus and how to treat it if you, or a loved one, get sick. 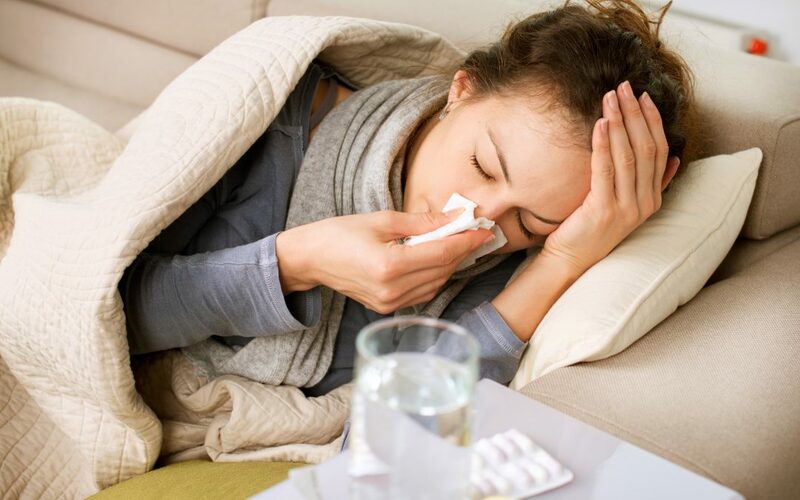 The CDC’s most recent recommendations suggest that antiviral drugs can be a treatment option, but you want to check with your doctor promptly if you are at high risk of serious flu complications and you get flu symptoms. People at high risk of flu complications include young children, adults 65 years of age and older, pregnant women, and people with certain medical conditions such as asthma, diabetes and heart disease. The flu, not to be confused with the common cold, is a respiratory illness caused by the influenza A or influenza B virus. While both the flu and cold are respiratory illnesses with similar symptoms, the flu includes the added symptoms of fever, muscle aches, and fatigue. The flu can impact both adults and children. It is mainly spread through coughing, sneezing or close contact. After coming into contact with the virus, it takes one to four days to show symptoms. People can become contagious with the flu before symptoms appear and remain contagious for up to seven days. That’s a large window of time to infect others with the flu. Rest and fluids are the ultimate medication for the flu. However, antiviral drugs can also help put you or your loved one on the fast track to being flu-free. These medications can easily be prescribed by your doctor or health care provider. Over the counter drugs like pain relievers and fever reducers can also be used to help lessen flu symptoms. Who’s at the most risk and how to avoid getting sick? Overall, children younger than five, adults older than 65 and pregnant women are at the highest risk of developing the flu. These folks are most at risk for complications of the flu which can be life-threatening. Even if you’re not in one of these high-risk groups, you’re still at risk of getting the flu if you are put in contact with the virus. If you or of your loved ones fall into the high-risk category, it’s important to start preventative flu measures sooner rather than later. The flu shot is the first line of defense for protection against the virus and should be on your to-do list every fall. Receiving your flu vaccination is easy, and by getting your shot you’re helping yourself and others by limiting the spread of the virus. Visit your Doctor’s office, a pharmacy or a walk-in clinic to get your flu shot today. If you’re a Blue Cross NC member, use the What’s True about the Flu page on our website to find the flu shot provider closest to you.